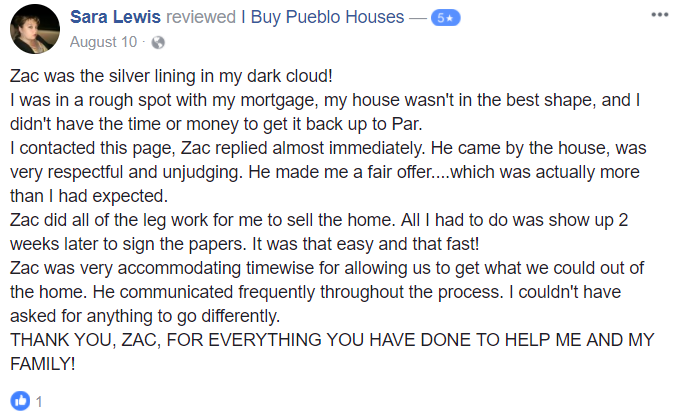 Sell Your House Fast Pueblo- Co Need To Sell Your House Fast? I Buy Pueblo Houses! We all want a beautiful, thick, uniform lawn – you know, one that looks like a putting green at one of those televised PGA venues. The problem, though, is that the very things we do to get the lawn we want often wind up doing more damage than good. Here are 6 lawn care mistakes that can ruin your yard in Pueblo – mistakes you must avoid. If your yard is unhealthy and you misdiagnose the problem and then use the wrong treatment, your yard could wind up looking even worse. Sometimes it’s difficult to determine whether your lawn is suffering from an insect problem or fungal issues. And the wrong treatment may simply exacerbate the problem. Mowing too short (and too often) prevents grass plants from developing vibrant foliage and deep strong roots. The plants aren’t able to take in nutrients and take up water as well. The plants then become susceptible to disease and vulnerable to pest attacks. Taller grass also shades weeds and impedes their growth, but, obviously, grass cut too short can’t do this. And then you’ll be inviting a weed infestation. A related mistake is waiting too long to address weed problems. Prevention is always better than a cure when it comes to weeds. But if you do let weeds get established in your lawn, you need to see the cure as a long-term, ongoing process. There simply aren’t any quick fixes – like poisoning your lawn by over-dosing it with weed killer – in this situation. Of the 6 lawn care mistakes that can ruin your yard in Pueblo, this is one that a lot of us are guilty of when hot, dry summer weather hits. In fact, watering too often can impact your lawn more adversely than not watering enough. Daily watering inhibits deep root growth, and then the grass plants won’t be hardy enough to survive harsh weather conditions. When it comes to feeding your lawn, one size does not fit all. Regularly fertilizing is, of course, essential for a healthy lawn. But it needs to be the right fertilizer in the right amounts and at the right time. For example, in late spring and early summer, you should use a fertilizer with slow-release nitrogen. Too much nitrogen too quick can “burn” the developing grass plants, which may then be stunted and brownish – if they survive at all. This is one instance when too much of a good thing can definitely be harmful. Planting (or re-planting) the wrong species of grass for your specific lawn conditions just might be the hardest to rectify of all the 6 lawn care mistakes that can ruin your yard in Pueblo. It could take years to put right again. So suppose, for example, that you just love the look of the vibrant Kentucky bluegrass growing in your neighbor’s yard. What you’ve overlooked, though, is that her yard is sunny while yours is shaded by large trees. And if you press on and plant Kentucky bluegrass, you’ll be gravely disappointed. Besides, most yards have a mix of shady areas and sunny areas. So one kind of grass throughout is seldom the best approach. Whether you intend to sell your home or live in it for many years to come, you must avoid these 6 lawn care mistakes that can ruin your lawn in Pueblo. And then there’s the other side of the coin: the things you do need to do for a beautiful, lush lawn. TO DISCOVER MORE, CONTACT US BY PHONE AT (719) 299-0741 OR FILL OUT OUR SIMPLE ONLINE FORM. NEWEST HOUSE PURCHASE! SQUATTER HOUSE!!!! We are a real estate solutions and investment firm that specializes in helping homeowners get rid of burdensome houses fast. We are not realtors, we are investors and problem solvers who can buy your house fast with a fair all cash offer. We are also local to the Pueblo market unlike some companies that invest here. We take great pride in this town, and even greater pride in helping people of this lovely city get a problem property off their hands in the least stressful way.